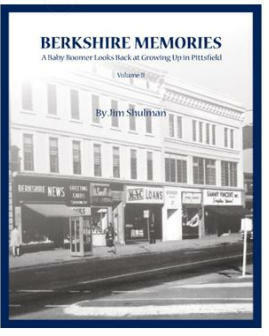 Berkshire Memories: A Baby Boomer Looks Back at Growing Up in Pittsfield (Volume II.) will be available in late 2015. 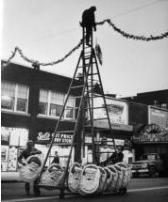 The first part of the book is about the shopping area of Pittsfield, North Street, with an overview of several major stores from the 1950s and 1970s. 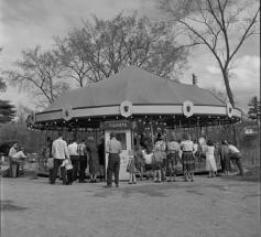 Stories include unusual items like pneumatic tubes at England Brothers, popcorn machines at Newberry’s and the kiddie merry-go-round at Jim’s House of Shoes. Narrative and photos follow about the old downtown theaters. 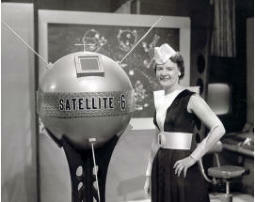 Many restaurants, variety stores, hot dog, soda and pizza vendor topics follow. 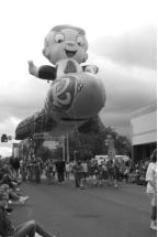 Family fun topics include the Popsicle trucks, Pontoosuc Lake carousels, July 4th parades and carnivals, Santa Claus and Robert the Reindeer, TV celebrity Glendora and nearby amusement parks operated by “Pittsfieldians”. Housing at Victory Hill, plane spotting, actresses living in the Berkshires, a legendary North Adams sales lady, Francis Island and Eastover stories are a few of the other interesting topics. For special pre-publication price and ordering information for both volumes of Berkshire Memories, you can click the PayPal button or click the Pay By Check button to pay by check. BOOK PRICE $36.00 All Sales go to the Berkshire Carousel Inc.